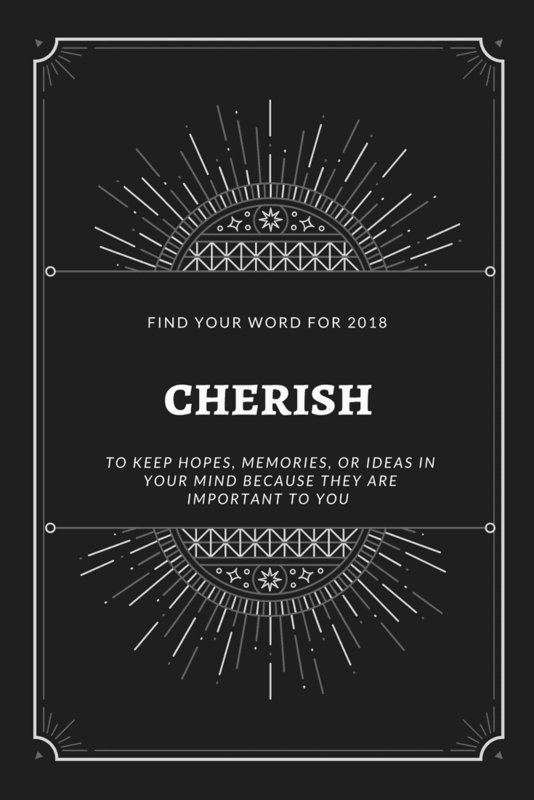 Cherish - My Mantra for 2018, Finding Your Word for the New Year! 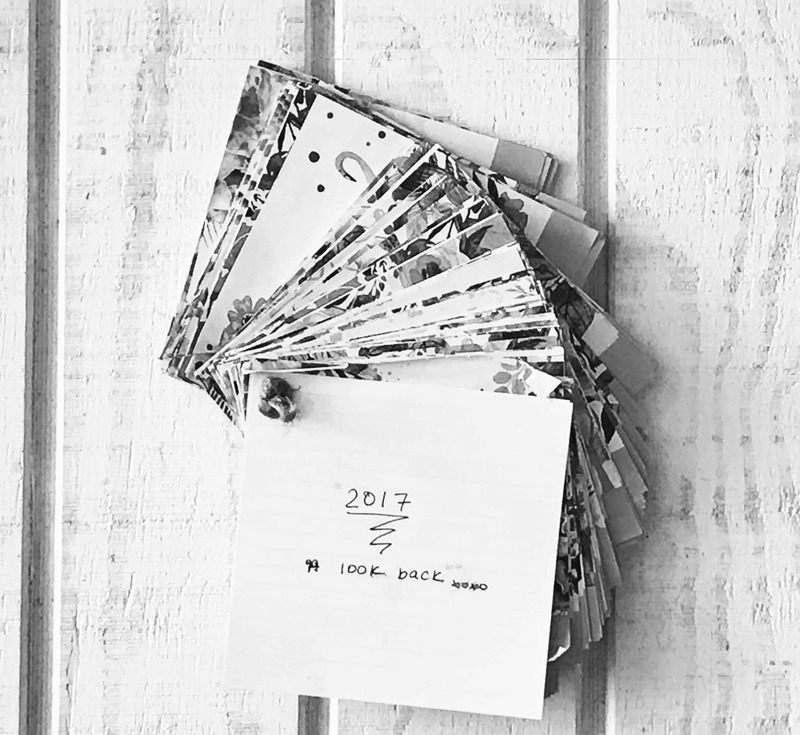 Have you ever stopped and thought about your year at a glance? You know, what milestones you hit during the last 365 days, the moments that tested you more than you liked, and those special memories that will last a lifetime. For me, that’s what I like to do every December 31st. It leaves me with a sense of gratitude and closure for the year past and hopefulness for the year ahead. 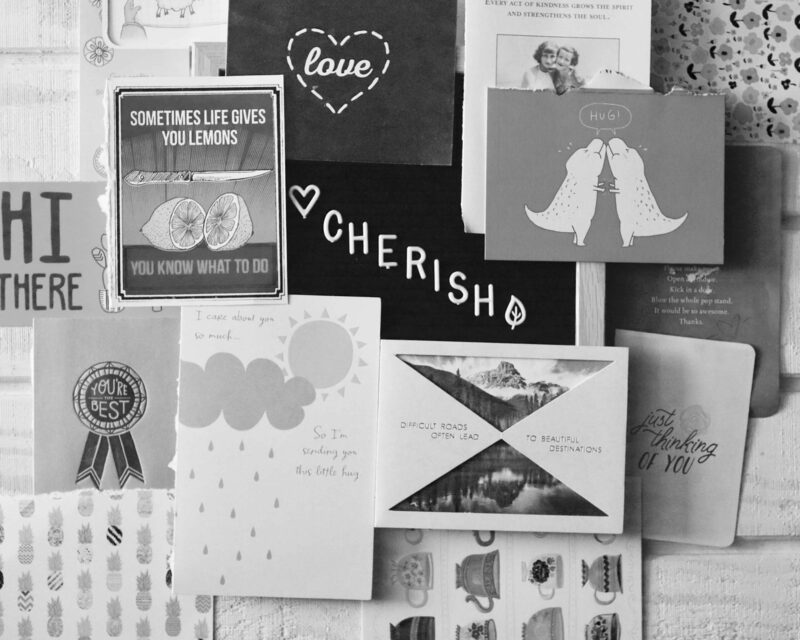 Enter, my One-A-Day Calendar with notes from the heart to my one and only, Mr. CEO. Sure, it may not look like much, and other than the $9.99 spent on the calendar it really isn’t hard on your budget. But, the investment of your time each day to write a special note of gratitude either to yourself or someone you love will without question be worth a million bucks. While last year I took this time to reflect on Well-th, the greatest blessings of 2016, this year I want to share with you a challenge. It’s as simple as naming a word you want to be your mantra in 2018. 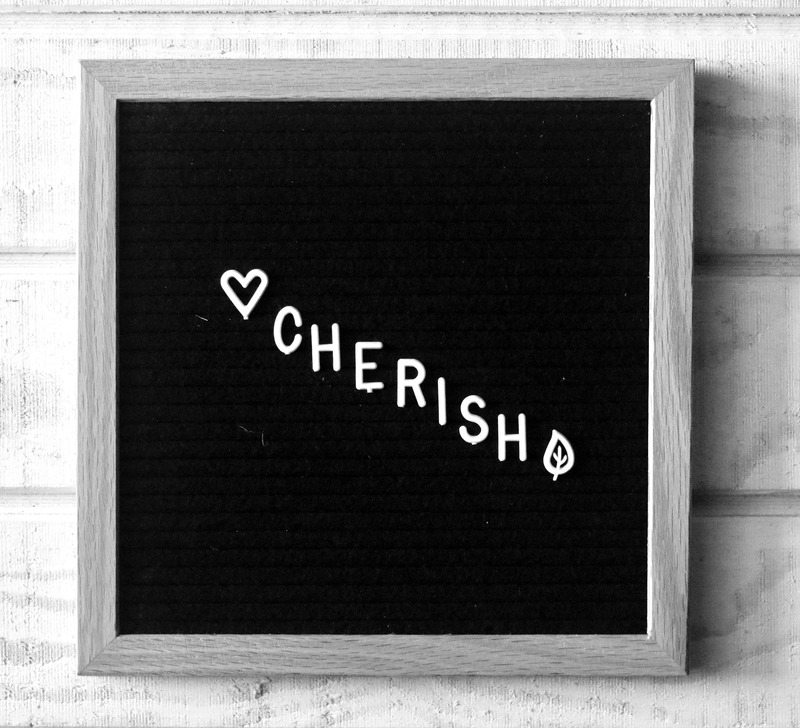 For me, this word is cherish. Truth be told, I didn’t come up with this word on my own. 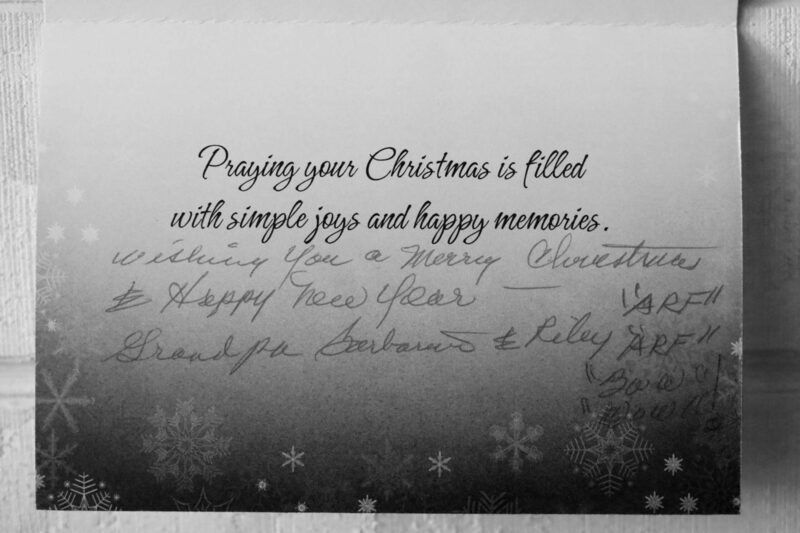 It actually started to resonate with me Christmas morning as I was opening my card from my Grandpa. This Christmas marked the second without his Champagne Lady and I don’t think it ever gets any easier for him. But, lo and behold, this was the first card he’s signed since her passing with simply his name and Riley, my Grandma’s dog that has become his new best friend. The simple “ARF, ARD, BOW, WOW”, brought a smile so big to my face that I still am grinning as I write this. Right then and there, I knew I needed to cherish this moment, the feeling, and the hope it brought with it. The hope that you can love something so much and experience so much pain when you lose it but somehow, someway find a sense of inner peace to keep on carrying on. Friends, that is exactly what I needed a reminder of. This past year was filled with a lot of excitement with out Switzerland travels I shared with you, but also lots of loss that I tend to keep from my followers here. 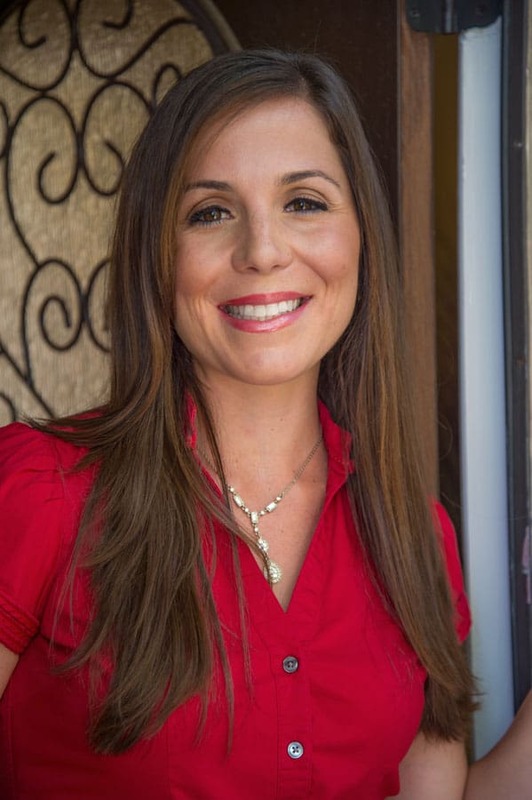 But, in the spirit of full transparency I want to mend that gap and invite you to share in a very personal part of my life which is the community of Bumps to Baby. And you see, yet again, that theme of cherish comes up! So my friends, this year, I vow to cherish the small moments. I will find the hope through pain and embrace the joyous moments the future brings. ♦ What is one thing that always make you smile? ♦ If you were 90 and were looking back on your life, what would you want people to remember you with? ♦ Is there a word that always brings you joy? While not every word may seem like it can apply to every situation or day in your life right off the bat, I promise you, with a little imagination, determination, and hope, you’ll begin to see your word form in your mind.